Raytheon’s Block IIA ballistic missile is expected to enter service in 2018. 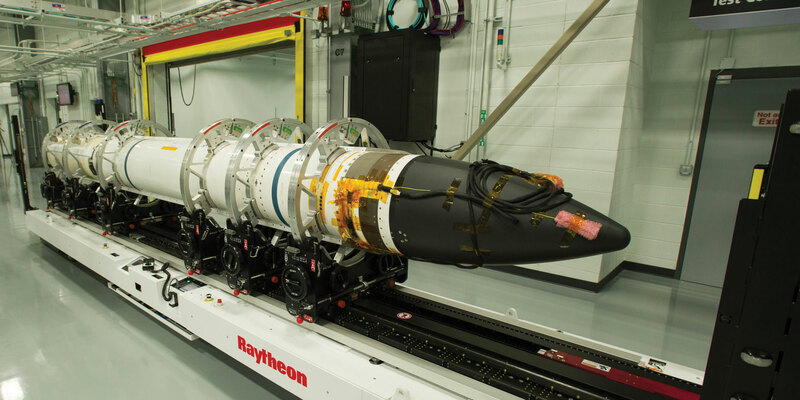 Last week Raytheon undertook the first flight test of the latest version of the Standard Missile-3 ballistic missile defense weapon. Developed in conjunction with Japan, the Block IIA will introduce significant new capability when it is fielded in 2018. It features an improved kinetic energy (“body to body”) kill vehicle and larger rocket motors, enabling ballistic missile threats to be engaged sooner than is capable with the current versions of the weapon system, in addition to providing expanded area coverage. The June 7 test involved Control Test Vehicle 01, which was fired from a standard Mk 41 vertical launch system located on San Nicolas Island within the Point Mugu Sea Range off the Californian coast. The trial tested the performance of the missile’s nosecone, functions of the steering control section and separation of the booster. It also tested the separation of the second and third rocket stages. For this initial test, the system followed a pre-programmed trajectory, with no target involved. As well as being slated for naval deployment, the SM-3 Block IIA is due to be land-based in Poland as part of the European missile defense initiative. Later this year the current Block IB interceptor is due for deployment in Romania as the first land-based element in the European shield, augmenting Block IBs already deployed on U.S. Navy vessels.